Every homeowner wants to earn extra income from the property or space he has rented out, especially in these hard economic times. However, getting your house ready for rent in Malaysia can be a tedious task especially when you have to choose the right tenants. It is always recommended to hire the services of an experienced realtor or property management firm. With the help of an experienced realtor, homeowners can avoid hiring tenants, who can pose problems in future. Being a landlord, you should be aware of some responsibilities so that you can deal with different situations tactfully and appropriately. Undeniably, there are lots of benefits of letting your house for rent but make sure that maintenance and managing the property is your responsibility too. You have to keep your property in a good condition in order to enjoy smooth transactions from the tenant. The repairs should be your top priority and you must act immediately on the complaint of the tenant. If you do not have time and find it quite hard to manage, it is better to hire a professional property management firm. Before you let your house for rent, determine if there are any repairs to be made and if the property will receive any upgrades. It is imperative to take care of any needed repairs to protect the home's value and present the homeowner as a responsible and reliable landlord. If you have any holes in the wall, patch them. Repaint walls to have neutral colors, especially if any of your walls have bright colors. Just because you love these colors doesn’t mean the tenant will. If you have cracked counter tiles or floor, replace them. Make sure drawers and doors shut properly without squeaking. Upgrades to the property have a two-fold benefit: it can increase the chances of securing a tenant and it increases the chances for a higher rent to be charged. Decide how much flexibility a tenant will be allowed regarding cosmetic changes and/or upgrades to the property such as painting, fixture replacements, and bathroom renovations. Will the tenant be allowed to paint the walls? How will the tenant be reimbursed if he makes an offer to install granite countertops or a high-efficiency dryer and washer? These possibilities should be anticipated. Besides that, there are more to the flexibility where we need to anticipate the outcome from their upgrade. Nowadays, most tenants magnetize towards the properties with attractive outlook and decent neighborhood. Make sure to research about the rental rate either online or by consulting with a realtor. The price should be competitive and property must be clean. All the appliances should be in the working conditions, which will get you a lot of queries from the home seekers. It is also essential to post the ad in professional and reliable classified sites like PropertyGuru in order to get maximum exposure. After making your property tenant ready, start searching for the right tenant. It is essential to find a dependable person who can pay the rent regularly and keep the home in good condition. It is also necessary to check the credit history before making any final decision. After finalizing the right person, make sure to demand a reasonable security deposit. Arrange appropriate payment schedule, so that both of you can enjoy smooth and regular transactions. Sometimes the market is better for sellers than for landlords. Before letting your house for rent, contact your local board of realtors or neighborhood real-estate agent and have them appraise your house, then get the statistics for local rentals and do a comparison. Only then can you see whether renting makes sense. If it is a stable market and the rent will cover your mortgage and other related expenses, it makes the decision process easier. 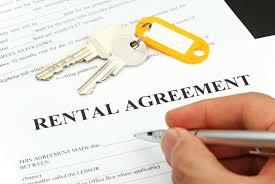 Before accepting the guest as your tenant, show them the agreement details. Point out the key citations in which problems may arise. One can also take the images of all rooms to confirm the condition. There can be many reasons why you might want to rent your home out. Maybe you are moving in with a partner, moving to another city for work or even to another country and do not have time to sell your home or want to keep your home as an investment for the future. Whatever the reason, moving out of your home can be a very busy and stressful time and becoming a landlord brings a new set of responsibilities to add to that. You may wish to rent out your home privately to maximize rent or you may wish to hire an estate agent to help you manage the property and find suitable tenants. 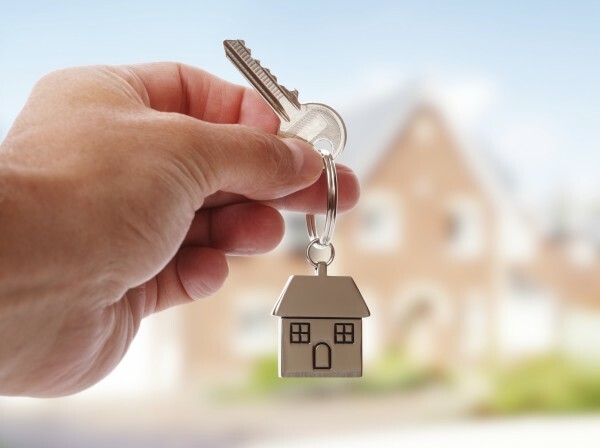 Making sure that your home is suitable to rent to others is essential to secure good tenants and if you present your home in a respectable manner, you are more likely to secure the kind of tenants that will, in turn, look after your home. Cleaning your home can be time-consuming when you will have a hundred and one other things to be arranged in your move. For this reason, it can be wise to hire house-cleaning services if you are looking to rent your home out. House cleaners can make your life easier at this busy time. By hiring home cleaning services you can ensure that it is ready for your new tenants to move straight in and make sure that you do not miss out on any rent opportunities. For homeowners seriously considering becoming landlords, the best advice to follow is to be informed. Be informed of who is going to occupy the property. Be informed of a landlord's rights and responsibilities, and that of a tenant. Most importantly, be informed on how to protect the investment.